Yes it's the original windshield, it came from Houston. Hey Archie....sorry if I missed this being posted earlier, but is that an original windshield? Or what does it come from? It was pretty close but didn't fit the opening in the fiberglass perfectly so we had to modify the opening a bit. I love it so far maybe this will be my '09-'10 project. Please keep it going. Those last pics aren't working for me. Anyone else having a problem? EDIT: As soon as I posted this they started working. Sorry. Very nice. A little late on this report. The week before last we finished much of the steel work under the nose. We also hinged the front clip & built the radiator mounting. If you look back at some of the early body pictures, you'll see that the grill opening in the nose was out of shape. Because we were needing to mount some steel in the nose to mount the hinges to, we also had to reshape the grill opening to the proper shape. And you guys do work like this with two left hands! Want to hire a guy with ten thumbs? The new sig is nice! We put the lowering spindles on the front end to bring it down to about where it will be when we're done. The rear will come down about 1.5 to 2" when we put the complete driveline in. We're trying to get all the steel work done so we can send the chassis out to be powdercoated. We're working on the door hinges now. Excellent work - great thread. mapquest never seems to work well for me. Please note that Mapquest puts the "STAR" 3 blocks North of where we are actually located. So figure on going 3 blocks South of that star. thanks archie i will be in chicago the end of this month, and i might stop by and pick up some of your rockers. Give me a call 2 days before you come & we'll get you hooked up. We are gathering parts for the interior of this car & we're looking for some seats. The real seats, even if you could find them, are very likely wayyyy too expensive. I know a lot of you guys out there have of have had various sports cars. We're looking for seats that look as close to the real thing as we can find. 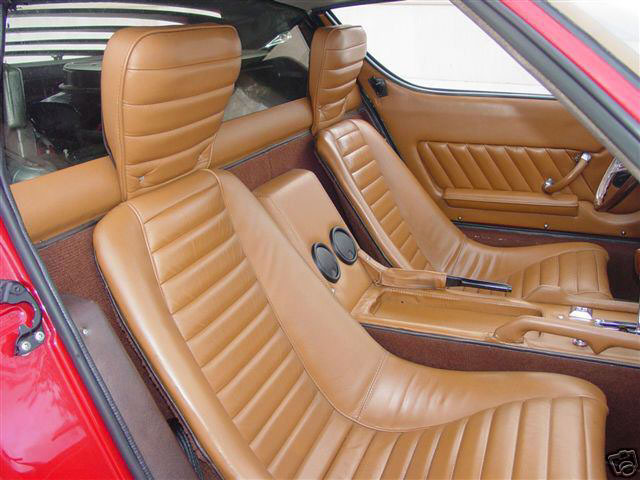 Below are a few pics of Miura seats. 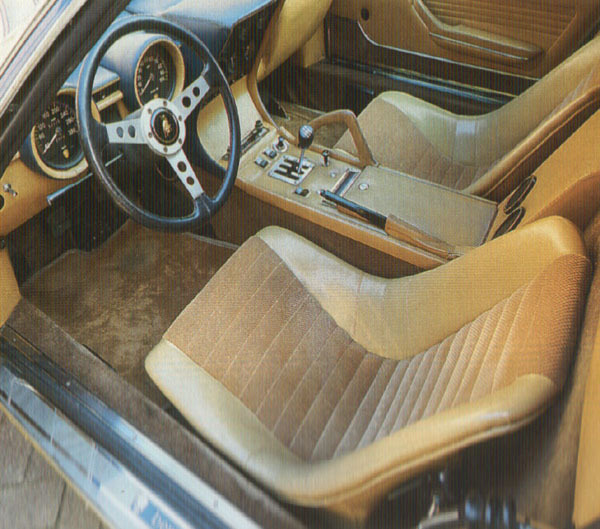 Does anyone know of seats from another car that look the same or similar? I've never seen production seats like that, but it looks like a pretty basic seat. I wouldn't think it would be too difficult to form up a seat pan and send it to wherever is doing the upholstery. If I were doing it, (which I realize I'm not) I would probably form the seating shape with some sheetmetal, then weld reinforcing to the back side (as necessary, including some round tube/stock around the perimeter to keep the leather from ripping) and a frame to the bottom to connect it to whatever type of adjuster/riser you plan on using. The fact that it is a non-reclining seat would make it easier, so you don't have to track down similar recliners. 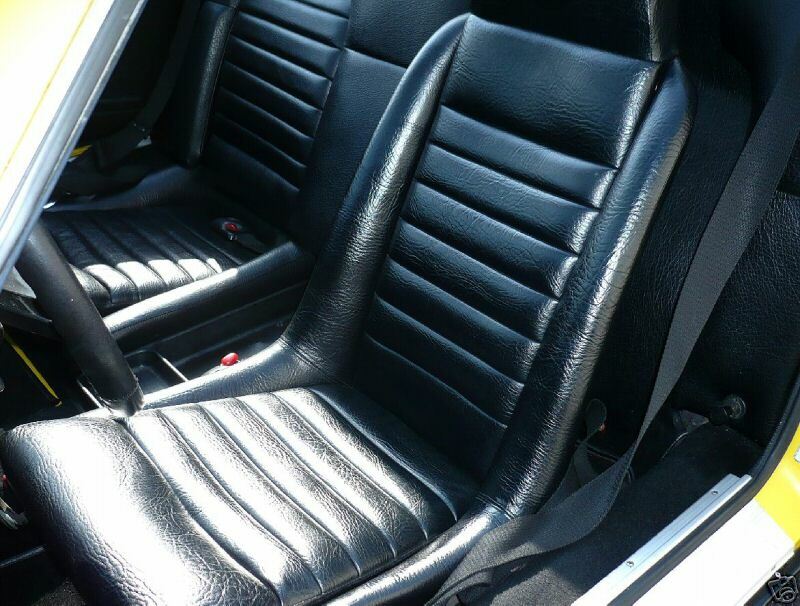 Also by making it on site you would be sure the seat fits the "new" car while maintaining the look of the original. 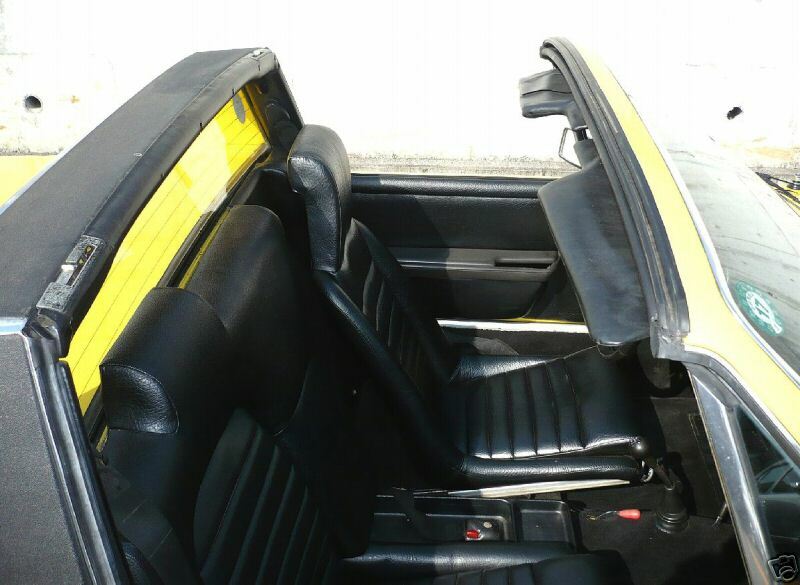 Seats from an Esprit S1 would be perfect. BTW, this is a f^&king AWESOME project, and if it weren't for the "lottery winner" windshield, I'd be commissioning one of my own - today!! In an effort to get all the welding & fitting done before we send the chassis out for powdercoating, we got the new LS3 engine in this week. We'll be fitting this engine into the car & finishing up the overall welding on the chassis. Then we'll blow it apart, store the engine until we need to reinstall it, & get the chassis out to the powdercoater. What I want to know is, when does the "begins" part end and the "continues" part begin? Thanks for the info, We'll do some measuring Monday. The real icing on the cake would be original wheels. They were knock-off magnesium Campagnolos, but repro aluminum copies are now available in Britain. The spline drive is the standard size used on many British cars and adaptors are available to take them. 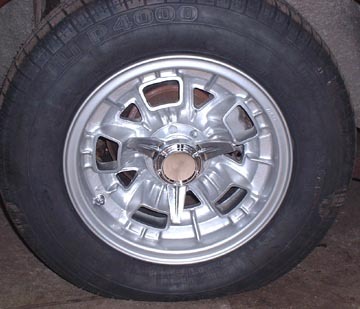 Here's a pic of the wheels on my old Lambo. Archie, get porsche 914 seats!!! they are nearly identical! 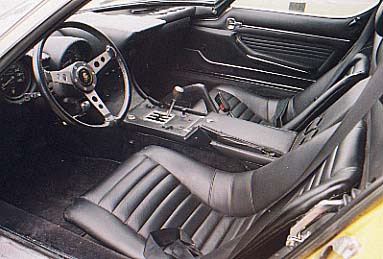 But if you do get 914 seats you will need 2 driver seats. The passenger has a big center firewall pad attached to it. 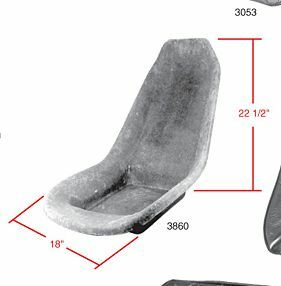 What you are looking for, are Replica seats from a 1965 Shebly Cobra. Finally back on this project. Working to get all the welding done before sending the chassis & other parts out for Powdercoating. So we need to trial fit the engine so we can finalize the engine cradle & engine compartment. We will be using a 6 speed transmission on the LS3 engine.